This week we are in the state of balance to prepare for more acceleration within GAIA which means we will be experiencing another transitional phase. The New Moon with a Solar Eclipse occurs on November 3rd, 2013, 4:49 AM Pacific, 7:49 AM Eastern, 15:49 GMT. How do we stay in the flow between accelerations which is happening to us consistently? The Equinox proved to be the most powerful surge of light within the planet; in fact, it was the event that was supposed to occur 12-21-12. By the sources of the Spiritual Hierarchy, it was delayed until the God Force felt that all humans could handle the change that it would create on the planet. GAIA is now infused with the Blue Ray of Will and Power which means that the elements of control we have been under can be harnessed through our hard work and diligence. This is only the beginning as it will take some time for others to acknowledge this essence within them, but as Light Workers it is our responsibility to utilize the frequency within ourselves and within the world around us. The Blue Ray represents the qualities of strength, courage, leadership, and strong convictions but within the essence of patience, love, protection, and strong faith. Utilize this essence to help bring peace and love in all areas of the lands upon GAIA. This all occurred during the Fall Equinox on September 22nd, 2013. We then were hit with the Lunar Eclipse during the full moon in October. This took us into a deeper level of ourselves. We were asked by the essence of the energies to purge yet once again another part of our existence as our shadow side is not being ignited to be blessed with the Light. Now we come upon the Solar Eclipse during the New Moon on November 3rd. This represents a gateway into our new existence that we have been looking for. The energies of last year at this time through February of 2013 are being highlighted for us to realize our true potential. It is a time for our visions to become a reality. We have worked hard throughout this year, and now is the time for our rebirth to occur. Are you ready? This is the week to work on the old elements that need to be removed presently. We must understand that every time this occurs we go to deeper levels of our core being and there is more that needs to be removed as the energies help it to be revealed within us. This New Moon is within Scorpio which represents Self-Mastery and getting the “junk” out of the closet. The effects of this Solar Eclipse will be felt for the next six months so it is a time to look at our dark side that is affecting our present lives so that we can feel the love of our Higher Self and allow the flow of life to be fully within us. Find out what works best for you; your tools, the way of your living, and expand upon it so this New Moon will be the best experience you have ever had in your entire life. Our advice is to work with the Rays of God by infusing them within your Being through your breath of life. To learn more about the Rays of God, please see our blogs, http://walkingterrachrista.com/ category/22-rays-of-god/, and Self Study Mastery Teachings on the 22 Rays of God, http://walkingterrachrista.com/classes/22rayschallenge/. Blessings and Joy to each of you at this time. We are happy to share with you our energies in Oneness. We represent the Unified Whole through Master Thoth, Great Divine Director, and Master Einstein. In this week before the onset of the New Moon and Solar Eclipse it is time to fully reflect within yourself who you are within your Physical, Emotional, Mental and Spiritual Selves. As the changes that have occurred in your recent past are molding within you what you will create in the very near future. We ask you to think about your thoughts and emotions; how are they interacting within your world and how often do you need to balance yourself so that energies do not take you off center. This is very important as on the New Moon and the Solar Eclipse there will be another portal opening to take you into a higher part of yourself, your Soul’s Essence. You may also ask, “What does this mean for me presently?” Now that is the million dollar question. We cannot give you the answer as it depends upon your individual consciousness. This is why we suggest looking at the different aspects within your bodily structure so that each individual can understand the process they are undergoing. Sometimes you cannot see the forest for the trees or you see the forest but not the individual trees. It depends upon your ability to look beyond the situation outside of yourself to figure out what is occurring within. Sometimes, this is not easy to do. So taking each of the elements of your four-body system eliminating the Etheric presently as that interacts within your physical and any elements arising from that essence, you are already probably processing the issues. You see, as you go through your healing process on any given day, your Etheric Body is becoming very active. When you remove the darker elements of pain and strive in your past timelines, then there is an opening for your higher timelines to be ignited. They cannot do so without purging first. You may not know at the time what the higher timelines may be but they will come within you as your Higher Self will guide the process in your meditations and dreamstate. So you are already working within the Etheric Body as you are working through the elements that arise for you during the higher activations and doing any high quality ascension work. It does not happen without you concentrating on it in a certain way. Please know that in all the bodily functions of the physical, emotional and mental, the Etheric body is continually healing so elements will arise in all of these levels. As the elements arise, utilize your higher vibrational tools, i.e., meditations, chanting or toning, utilizing the Rays of God for balance, or calling upon any ascended teachers to help you through the process. Remember, Ask and You Shall Receive. The next step is to look within your emotional body; what feelings are coming up for you and are you being challenged when in another’s company? This is very important as the mirror will show you when you need to acknowledge the aspects within yourself that is arising. Are you emotions in balance and how long does it take you to find the flow within you from one essence to another. Not staying stuck within your emotional body is essentially important. Then, work with your Feminine Divine to allow her essence to share with you what you may need to do which will assist her energies, nurturing, loving acts of kindness towards the self. The next step is the Mental Body and looking at your thoughts towards yourself and others. Many times you can be judgmental towards another person whether you know them or not, and it is a reflection of how you feel about yourself. Write down your thoughts, change them by using an invocation or the Violet or Crystalline rays to purge the energies you are dealing with. When you don’t allow the release of the thoughts to occur, they can sometimes manifest as anger, depression, or lower emotions and get stuck within the Emotional Body. Work with your Masculine Divine to allow for the purging of the thoughts so that the Feminine Divine experiences the peace and bliss she deserves. At this point, take some moments and connect with the Masculine and Feminine to merge into your Heart Center so that they can work together cohesively and not separately. Now you look at your Physical body and working within the chakra system. Every thought and feeling can be felt within the physical essence especially within the chakras of the Root, Sacral, Solar Plexus, Heart, and Throat. Utilize toning within the chakras to keep them aligned especially when you are going through an emotional or mental releasement. If you do not do so, then they can get lost within the cellular function of the physical body or worse, within the Etheric to be taken care of later. Take time this week to consult with each of these bodies to help you understand your process. Call upon your Higher Self so that the answers you receive are coming from your Higher Mind and Heart. Do not get caught up in the dysfunction of your four-body system not working within each other. As you do this, breathe deeply from your Highest Self into the Physical Body through your Antakarana Bridge into your Soul Star, through each of the chakras including the knees,ankles, souls of the feet into your Earth Star. Allow the Soul Star to spin through each of the chakras meeting with the Earth Star and then returning to its original position outside of your field; do the same with the Earth Star in the opposite direction. Now spin your Earth Star from the right side of your field, meeting with the Soul Star, and continuing on the left side of your field. Continue with the Soul Star following in pursuit, through the Earth Star and then in its original position. Utilizing this technique will allow you to clear out the psychic debris which can be lodged into any of the chakras or the emotional and mental imbalances. Utilizing both the Soul Star and Earth Star allows for the cleansing and regenerating your field while experience the Earth Energies merging with the Soul Energies. It is a very powerful tool to use. So why are we sharing this exercise with you today? We want you to fully take advantage of the time before the 3rd of November to purge and accept the essences that are part of your Divine Heritage. The Solar Eclipse with this New Moon is going to take every individual on a journey for three-days to unite with your Higher Essence. It may be your Higher Self (Soul) or your Monad or I AM Presence depending upon what you are accessing presently. Walking Terra Christa is sharing more information from Helios and Vesta about this magnificent energy but in a short summary of the essence, NO TIME ZONE when you meet your Highest Essence within your Physical Body for them to merge and prepare you for the next stage of growth. This portal represents “As Above, So Below” which is being infused within GAIA and each of you. It gives you an opportunity to be pushed a bit further in your mastery pathway and initiation process. If you are not accessing a mastery pathway, then it will take you into Self Mastery in which more information will come to you in your meditations and dream state. Additionally, the planet is being infused with the Ray of Inner Devotion from the Cosmic Energies in the color of Ruby Red and Gold. This means that GAIA is now totally devoted to her self awareness and preservation. It will help the planet to move into Peaceful thoughts and emotions thereby achieving peace in this World. It is the second ray to be infused within the planet in such a short time but it has been guided by the Heavenly Hosts of the Elders that Surround the Throne of Grace that the time is now and most of the planet inhabitants are ready to accept these energies within themselves and in the planet. You may say, what does this mean for me? Well, infusing this light frequency will bring you aspects of Oneness within the physical. Not what you share with others but your totality of your four-body system coming into alignment. Many think they are in Oneness by sharing thoughts of love and light but how deep are they going within themselves, beyond this lifetime, into the multi-dimensional personality they are through their Soul’s history. This is going to help individuals to heal within the confines and depth of their essence. It will help to remove the dark timelines to accept the higher timelines that are awaiting for their arrival. Believe me, this is not a cure but a process in which individuals will find themselves going deeper. They may find a new personality igniting from them and taking the journey even further. This is what the Mastery Pathway reveals to each initiate. It represents knowing that there is always more that an initiate can do for themselves; there will be highs and plateaus when you can adjust within yourself the energies but it is ever changing and evolving within your consciousness. It is such a pleasure to share this wonderful news. The most important aspect is to go within yourself, see your challenges, accept them, and always be humble about your beginnings. This is not an end to the journey but just the beginning so we must be strong within each other through this process. It will be a time of great challenges within the earth with souls leaving that cannot handle the depth of healing that needs to be done, but each of you that stand in the forefront know that you are being guided to show others how to do it. Continue the journey, spiraling deeper into your essence, finding the bliss and joy that you know is there. Earth is the most challenging place in the Cosmic structure but you are here because you decided this is what you wanted to do. We are so happy to embrace you as your journey is our journey. Halloween has always been a favorite holiday amongst many individuals. My parents loved Halloween and made it a party for the kids to drink Cider and Bobbing for Apples. I have enjoyed it as a child and an adult, but that day has been long gone. The children today either go to parties or are escorted by their parents into specific neighborhoods. Times have changed drastically but it seems like people still get into this holiday. It is a chance to dress up and be someone else. Adult Halloween Parties are very active still in this day of age, but what does it truly mean. First of all, children dress up to act either a favorite hero, what they want to be in life, or what they see on TV. Adults on the other hand bring out their dark side and have the desire to scare others or hide behind their masks. It is at this time that the element of the hidden Archetypes comes out from the closet. All you have to do is look around at the costumes, Pirates, Warriors, or Hero figures that they want to try to be. It is a night when everyone comes together as someone else. What happens when the masks come off? We come back to our original state of being. The archetypes become hidden within the subconscious once again and the roles are put on to show others not the true self but the one that is loved and adored by others. This truly is a sad state of affairs when you think about it. As we are evolving from the 3rd dimensional reality to construct the 5th dimension within our lives, our environment, and how we interact with others, the masks come off. We find ourselves going through challenges to find “who we truly are” so that others can love us from that perspective of our soul. The concept of Halloween and dressing up to be somebody that we may have been in another timeline now becomes a true reality. Think about it ~ who have you dressed up as in the past? I bet it is an aspect of yourself that you truly desired to be and then play acted with others for a short amount of time. But what happens to the feelings that may erupt. Then what do you do with them? To you keep them hiding from others, or do you allow them to be part of your personality? I was pondering these thoughts earlier today as this holiday in America is probably the most lucrative business besides Christmas or Valentine’s Day. Everyone wants to be someone else. Then there are the darkies that come out of the closet on this holiday. It is a known fact that the forces of darkness, i.e., lost souls, dead people in cemeteries, and your favorite celebrity that has not found the light, can be very prevalent during the wee hours of darkness on October 31st, 2013. It is shown in every advertisement on TV, the internet, and within the movies. It is the business of scaring people. But yet, what about those of us that are now walking as awakened beings, the ones that look into the depth of their soul to heal their darkness to find the Light that they are. Do we continue to hide behind the masks of Halloween or do we accept the fact that we are the LIGHT and must portray that essence within us whether it is on the last day in October or every other day of the year. 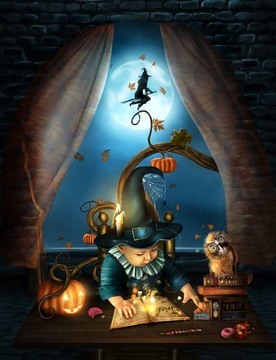 Let’s face it – there is not a Halloween in the 5th dimension. We are striving towards Oneness to create the New Earth and there is no room for elements of darkness to invade our privacy. So how do we go about existing on this day when it is a time when the dark forces are ready to play with every soul upon the planet. And, they will, believe me. This all may be true and what you believe, you are. But we as a species and planet are moving away from interactions of a lower nature as we accelerate GAIA’s frequency into the higher realms. We have to remember that we are living in the fourth dimension physically no matter what your consciousness may be. That level represents duality of dark and light fighting within each other. During the Fall Equinox we hit a new high with the Light being infused upon this planet. 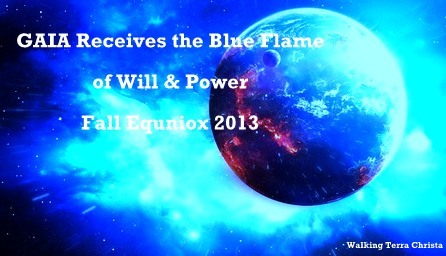 We are now working within the confines of the Blue Flame of Will and Power which brings the qualities of courage, strength, protection, being truthful and having deep faith. So on Halloween this year take a moment to reflect on the Blue Flame. Take time to meditate on the Light of the Blue Flame being infused within the planet, within yourself, and those around you. Call upon the energies of Archangel Michael and Faith who overlight this ray in their work along with the Elohim Hercules and Amazonia. With their assistance we will find that the dark energies will not have credence over Planet Earth any longer. 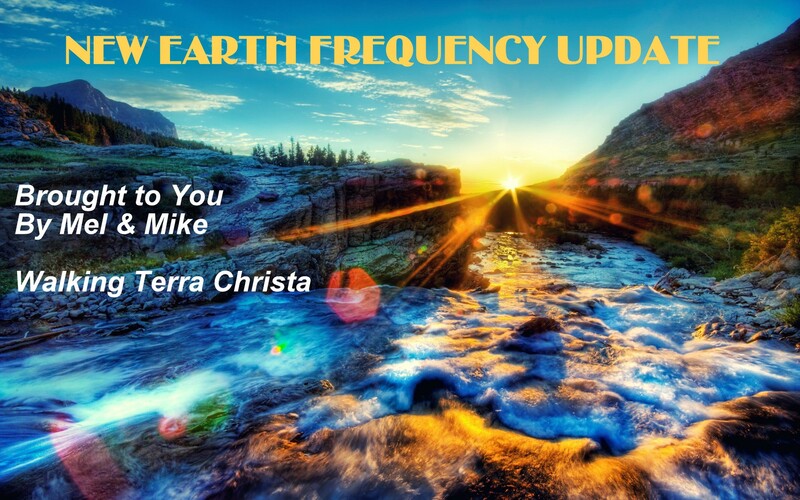 For more updated ascension and channeled information, please check out Walking Terra Christa‘s blog posts. Master Vywamus, Higher Essence of Sanat Kumara, will be sharing his view on how the Etheric Body and the Nervous System is affected by the ascension process. Since we are in the age of mass consciousness upon this planet accessing the higher activations of light we need to be in balance. Vywamus is coming forward at this time to assist Light Workers to understand how we can balance ourselves more fully through the accelerations as we are preparing with GAIA to ascend physically into the 5th dimensional levels and beyond. Vywamus shared with Meleriessee that as he is the I AM Presence of Sanat Kumara who represents the Brotherhood and Sisterhood of White Light, that his responsibility lies in the areas of Light Quotient for the Multi-Universes. 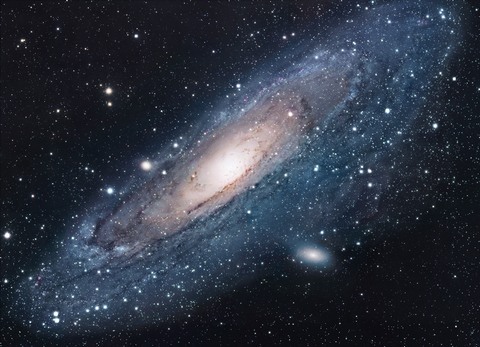 This means that he is the commanding energies to bring the higher Light Quotient through the many Universes including the Galactic, Solar, and Planetary of our system. He is now offering his assistance to Light Workers on an individual basis of how to increase or balance their light and love quotient due to the planetary accelerations occurring within GAIA. Each of us is different depending upon our Etheric Body consisting of the many timelines that we have experienced. 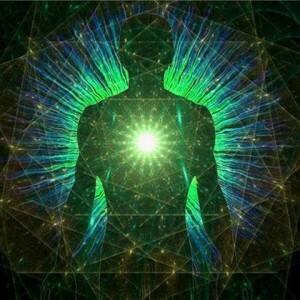 The Ascension Symptoms can be ignited through weaker or stronger timelines that are being experienced within the physical structure as the Etheric Body is trying to merge with the Physical Body along with the Emotional and Mental Bodies becoming united within the structure of ONENESS on a soul level. As we are being re-calibrated through these accelerations, Vywamus is stepping forward to assist each soul individually through this process. This is an OPEN CALL; DONATIONS ARE APPRECIATED. This teaching will be recorded and available as an MP3 download. Vywamus shared some thoughts on this subject recently, http://walkingterrachrista.com/mastery-tool-of-the-day/mastery-tool-day-18/. We will be offering personal consultations (20 minutes) with Vywamus to receive an Ascension Evaluation to determine how the increase in your light quotient is affecting the progress of your crystalline structure and physical body. Details will be provided during the call.